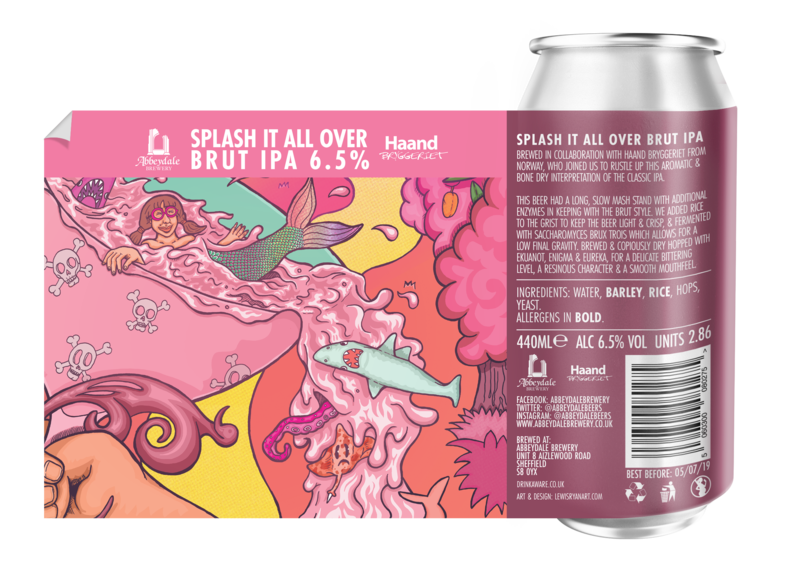 Label number four of Abbeydale Brewery's Collab Series. 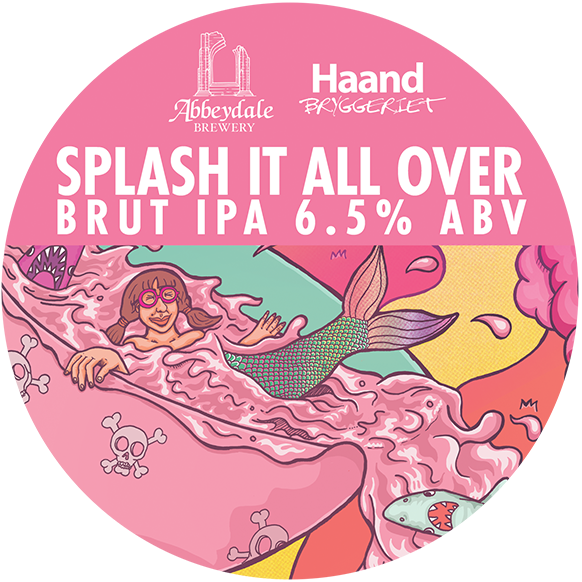 Abbeydale Brewery and Haand Bryggeriet got together to create Splash It All Over - A Brut IPA.  This label is part of Abbeydale's Collab Series; a collaboration project of 6 collaboration brews with 6 breweries and 6 labels that will form an interconnecting piece of art. 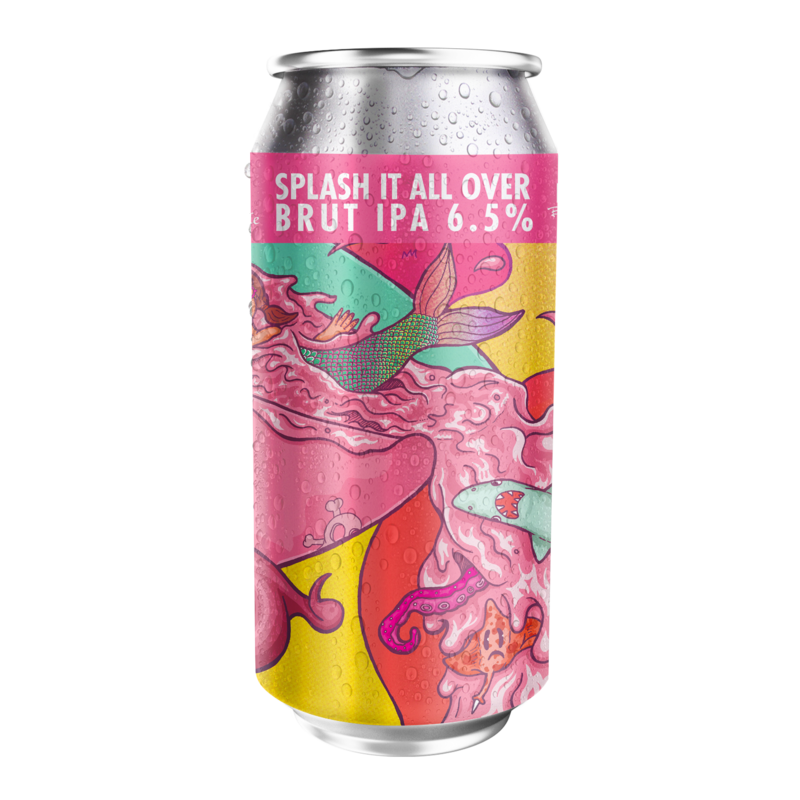 My first inspiration for Splash It All Over was of Champagne glasses to match the Brut IPA theme. I'd been listening to Nick Cave and the Bad Seeds' album "Push the Sky Away" whilst working on the initial sketches for the collab series, so I think the song "Mermaids" must have sparked the idea for this one. 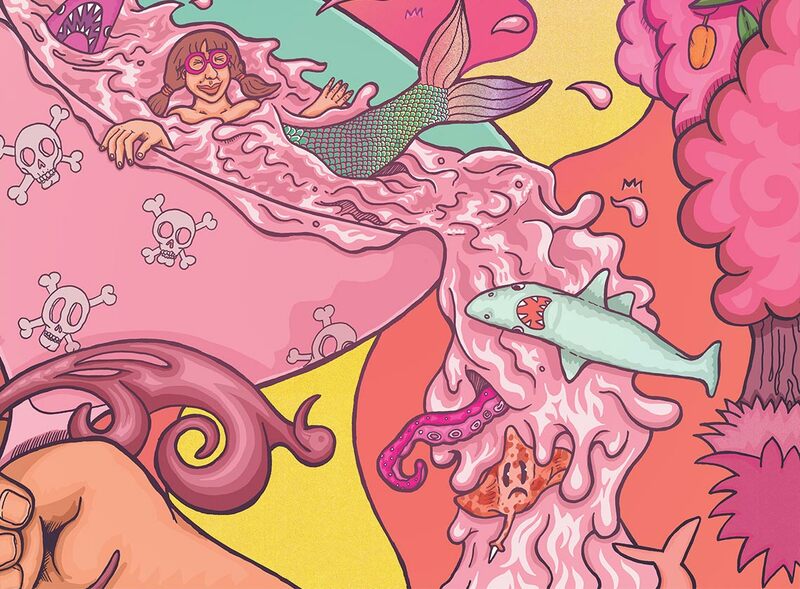 I accidentally based the main mermaid character on a friend, completely subconsciously, I didn't realise I done so until another friend pointed it out - Sorry Lynzi! - I'll make you famous. The piece was sketched in pencil, then inked with Indian ink, scanned and coloured digitally with a Wacom tablet.